May buy 1 for yourself and 2 additional as gifts. May redeem 1 per group; even on separate tables. Not valid toward buffet, Dine-in only. Excludes alcohol. Must use entire value in 1 visit. Expires 3 months after purchase. See the terms that apply to all deals. 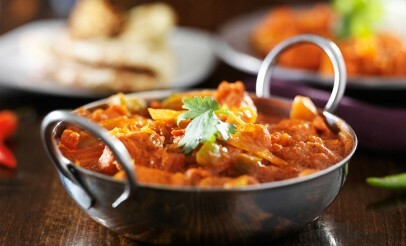 At Star of India, all the dishes are prepared fresh on the premises from natural ingredients. They specialize in a variety of Indian delicacies including chicken curry, lamb, seafood, halal, and vegetable entrees. Click here to view the menu. Since 1990, Star of India Restaurant has been the go-to place for an exceptional Indian cuisine experience. The award-winning restaurant is conveniently located in downtown Salt Lake City. They validate parking at all surrounding parking lots and even provide tokens if you choose to park at a meter.